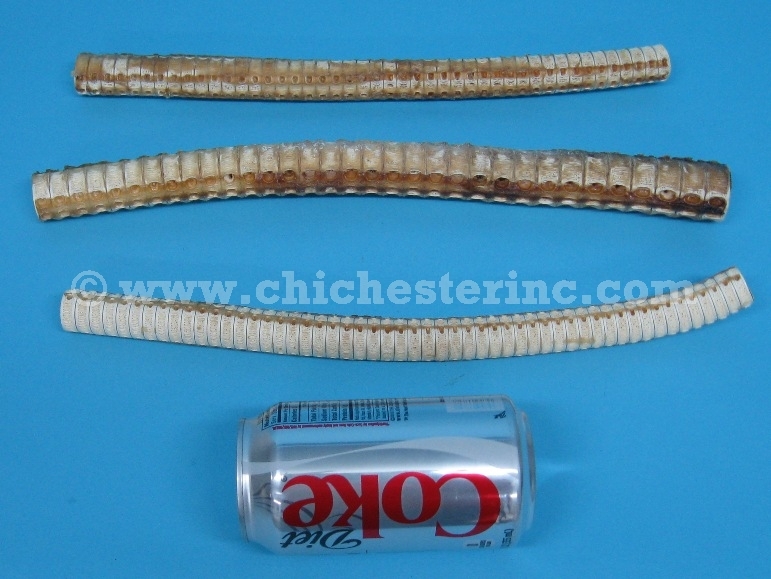 The shark vertebrae are approximately 11" to 17" long and 0.75" to 1" wide. They weigh approximately 0.20 to 0.34 pounds each. As of August 2016, the shark vertebrae we have in stock are from mako sharks. Genus and species of Mako Shark: Isurus oxyrinchus. Wild. Genus and species of Lemon Shark: Negaprion brevirostris. Wild. Genus and species of Blue Shark: Prionace glauca. Wild. These sharks are not endangered species. We prefer not to export these out of the United States.